TMC is extending our online compliance training to include Human Resource (HR) courses. 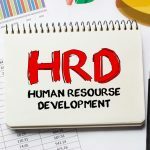 To compliment our OSHA, HIPAA, and Business Associates compliance online training, we have added five HR compliance courses that you can add to your learning management system application for the administration, documentation, tracking, reporting, and delivery of educational courses or training programs. Efficiency experts estimate that employees spend 2.8 hours per week dealing with conflict. Workplace conflict reduces employee productivity and increases absenteeism and project failure. This course will train your employees to observe escalating conflict, address it and help resolve it. We may think that we are fair and objective; however, implicit bias is apparent in everyone. Psychologist have identified more than 150 implicit biases. What is implicit bias and why do we have them? This training will answer these questions and many more about how to deal with implicit bias in the workplace. Diversity: The condition of having different and various elements and qualities, especially regarding people (race, culture, religion, and gender). Diversity is increasing in the workplace and it is important to address it with your employees. Diversity training is about more than learning to tolerate difference. It is about understanding, appreciating and respecting differences in individuals. The risks of and damage from workplace violence can affect your business as well as your employees. In addition to the legal issues, it has a financial impact. Each year almost 1 million individuals become victims of violent crime while working. About 500,000 victims of violent crime in the workplace lose an estimated 1.8 million work days each year. The average cost to American businesses each year is estimated to be $36 billion dollars (Bureau of Justice Statistics). “It is estimated that nearly 25% of all workplace violence goes unreported.” – Business Health Services, date? Recent headlines have been filled with sexual harassment cases, most notably in politics and entertainment. However, workplace conduct can cross the line in any industry or business. The time is right to review workplace conduct rules and legal liability. Learn how to address and prevent harassment in your workplace. Add all 5 for only $20 per user per year! Very good content and instructor (one of the best! ).